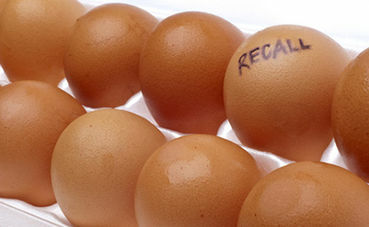 The number of U.S. food products recalled - and the costs associated with those recalls - have nearly doubled since 2002, according to a report by Swedish reinsurance company Swiss Re. Shared and noted. Thanks, Kathy. Recalls are expensive. Wonder what the price of prevention would be? As in banning factory farming, and re-evaluating other current practices of food production and distribution? Nasty, especially the consequences if you've already eaten it before the recall.